So much is happening in the world of high-definition, 3D and home video that it might just be a great area to look for some cool holiday gift ideas. And a gift of video is something that can be enjoyed by many. Getting the right item here can bring a lot of joy to people in your immediately circle! 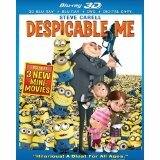 Starting out small, there are some great movies out on Blu-ray and DVD that make a nice gift for the movie buff in your family. They also make a good family time activity sitting down together after a big holiday meal and soaking up some great movies. We can start out our list with a new movie full of a classic sense of adventure in which J.J. Abrams (LOST and the latest Star Trek movie) successfully channels Steven Spielberg (who happens to be the movies' Producer), making a wonderful joyride full of excitement and intrigue. Abrams' SUPER 8 ($20 for Blu-ray/DVD + Digital Copy) takes a cast of six young kids through a melding plot-line similar to other Spielberg classics. I would describe the film something akin to Goonies, ET and an alien-version of Jurassic Park all rolled up into one. SUPER 8 is a great gift for a family (maybe not the littlest ones) to enjoy. Matrix was game-changer of a movie when it came out in 1999. It broke the mold of a new level of special effects twisted within a mind-numbing plot line that leave many scratching their heads. But you have to give the Wachowski brothers (Andy and Larry) credit for turning something completely unexpected into a mainstream success. The Ultimate Matrix Collection (Blu-ray under $40) is a sci-fi fans dream collection of the three movies and tons of supporting/background information. Details like a 40-minute look at the Neo VS 100 Smith battle or 55-minute look at the car chase scene. Simply tons of information that could potentially help people "get it" that had trouble following the plot-line and understand what was going on. New this holiday is the 7th repackaging of the Star Wars Trilogies. The latest Star Wars: The Complete Saga - Episodes I-VI ($100 on Blu-ray) is a monstrous compilation of nine discs plus a sixteen page booklet. And yes, George had to go in and tweak the movies again! Noooooo! And while I'm not a fan of these tweaks, it does not take away the epic feel of this great space opera. Definitely a wonderful gift for a Star Wars or sci-fi fan. I didn't mention 3D movies because most movies 3D effects today just don't seem to warrant the effort in my opinion but the best options out there this holiday season with some true dimensionality in the presentation would be Despicable Me and the new TRON movies. Okay, this is the era of digital and streaming...so an old fashion disc may just feel...old fashion. So you can consider gifting someone a gift card or subscription to one of the hot video streaming services today. Popular video options include Amazon's Instant Video, Amazon Prime Video (gift cards $25+), Netflix streaming service ($7.99 a month) or Apple's iTunes offering ($15+ iTunes gift cards). These services offer great access to a wide-range of movies and TV series. It might be worth checking out what each service offers to get a good sense of what your gift recipient will like. Truth be told, I seem to find a better assortment of content on Apple iTunes and Amazon Instant Video but you pay for each movie at those two services whereas Netflix's all encompassing $7.99 a month offering gives you access to their entire library. Amazon offers a service call Prime ($79 annual fee that also gives you free shipping on most purchase at Amazon.com) that now includes a Netflix-like video subscription service for a good sized portfolio of tv and films as well. So you'll need a video streaming device to access Apple's, Amazon's and Netflix's video content. 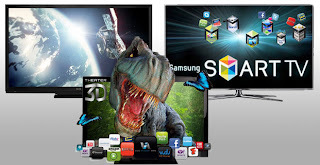 There is a wide range of solutions to consume all that video including your computer, smart-devices (iPhone/iPad), new Blu-ray player, TV or dedicated set-top device. After the PC and smart-device, my first access to streaming content came with my Blu-ray and flat-panel TVs. The latest models of most of these include streaming to several video services like Amazon, Netflix, VUDU, YouTube, Hulu...the list goes on. 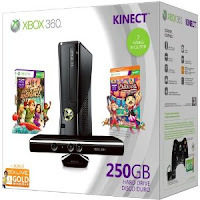 It is best to check out what services are available for any new TV or Blu-ray player you purchase. 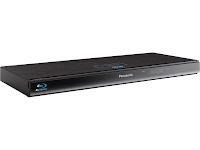 I've tested several of the latest Blu-ray players and really like the Panasonic DMP-BDT210 3D Blu-ray player (roughly $140) which features wi-fi connectivity for ease of connecting to the internet. Regarding the player's streaming options, you have access to hulu Plus (additional charges), YouTube, Amazon Video, Netflix, VUDU, CinemaNow as well as Skype conferencing services. And if all that isn't enough, it can function as the answer machine for our home! 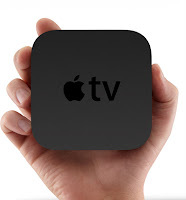 Of course, if you have someone on your gift list that is vested in the Apple iTunes eco-system of music, videos and apps...then an option for them for would the Apple TV (less than $99). 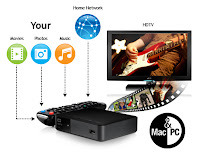 This small but powerful video streamer brings the ability to leverage all your Apple purchased or iTunes content onto your TV. If it is in your iTunes library, it can be accessed on your TV. And with Apple's new iCloud service, the content doesn't even need to be streamed from your computer...you can get it straight from the internet and watched on your iPhone, iPad and Apple TV. And it is not just the videos you own but you have the ability to rent from Apple a wide variety of movies and TV shows starting at $1.99-3.99. Apple TV also supports Apple's new AirPlay features that allow content stored on your iPhone or iPad to be viewed on the TV. You also have access to Netflix subscription service, YouTube, Vimeo and season ticket access to NHL, MLB.tv, NBA and the Wall Street Journal. Recommendation: If that special someone actively uses their iOS (iPhone/iPad/iPod) and iTunes for their music and video...this is a great addition to their lives. Now the Apple TV is feature-rich but it follows Apple's usual course of limited the type of content and file playback of the device. Whereas there are other options that open up a larger world of streaming content providers and video/audio file formats. Probably the number one contender that I recommend to people for the past year or two has been ROKU. 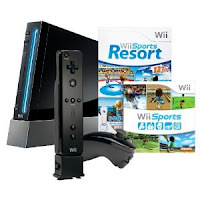 This device currently comes in four versions ranging from the ROKU LT ($49) which is a pure streaming device to the ROKU 2 XS (roughly $95) that offers full 1080p HD, apps and a motion controller. 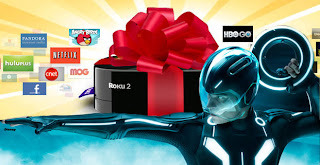 Where the ROKU shines is in the streaming provide support list with 350 channels that includes, Amazon, Netflix, Vimeo, Hulu Plus, Crackle, HBO GO, Wall Street Journal, Disney, CNBC, EPIX, Fox News and a full line-up of sports channels. For most people, I still recommend this streaming options today. Recommendation: For someone looking for the largest assortment of streaming video offerings, the Roku is definitely the way to go. The LT is a great all-around starter and if you want full 1080P HD get the Roku 2 XS. On the geekier side of the fence, the new WD TV Live ($90 streaming and roughly $185 with one terabyte of network storage) offers a range of video streaming options including the usual suspects Netflix, Hulu Plus, Cinema Now, vimeo, Youtube and Blockbuster on demand. The Live shines in its file support which includes playback of the usual MP4, AVI, WMV and Quicktime MOV. But where this gets really interesting is its support for MKV, XVID and a long list of other obscure file formats that different PC and Mac's generate. This allows people to access video files stored on their computer or network hard-drive and playback without conversion on their TV! As I said, this is the geekier of the options for video streaming and powerful in the right hands. Recommendation: If your looking for something for that tech-savvy person that has a substantial music and video library on their computer, makes their own home videos and they don't necessarily rely on Apple's complete solution...then the WD TV Live is a great option. 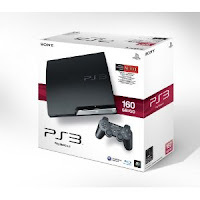 As the videogame fan that I am, I would be remiss in pointing out that all the latest home gaming consoles (Sony Playstation 3, Microsoft Xbox 360 and Nintendo Wii) also support video streaming services. If you have one of these systems, you can leverage them to access some streaming content like Netflix but based on the product lifecycle aging of these three platforms, I would hold off on buying a new system unless you have not gaming console and want to pick one up. Otherwise I would wait until the new versions come out potentially as soon as next holiday (Nintendo definitely has a new console next year but the others are a pure guess...I don't have any information to indicate new versions are coming out but the current systems are long in the tooth). If you are looking for videogame suggestions as holiday gifts or stocking stuffers, check out the WouldntMind.com Top 10 Videogames for the holidays which includes research from Nielsen's Top 10 Most Wanted! On the high-end of video products to consider, WouldntMind.com recently did a write-up on great flat-panel TVs and strongly recommend you check out the great line-up of display options. I have also posted a write-up on WouldntMind.com: Great Holiday Gifts for Cool People You Know and WouldntMind.com Holiday Gifts for Good Little Boys and Girls.